So did I tell you that I'm going to the Carrie Underwood concert tomorrow night?! My friends, I am so excited. My friend Mel texted me on Monday (the day Malachi was born) asking me if I had plans on Sunday night and if I would want to go for free to the concert. These kinds of moments are the moments when I realize that my life isn't some big joke. That random acts of kindness happen to me just like everyone else. So mini recap, my nephew was born this day, AND I was asked to go to the concert with my friend. Great Day. Grrrrrreat Day. Sometimes I like to channel my "Carrie" especially when I am at Bushwhackers dancing to "Cowboy Casanova." So sassy, but elegant. Does that even make an ounce of sense? She's beautiful. Oh and did I tell you that Hunter Hayes is opening for her?? Goshhhh I am so excited! Already planning my outfit. I promise to post pictures, because I know you guys care ALOT about what I wear (kidding). 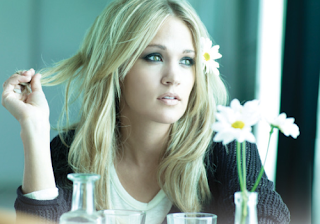 I gathered some photos of Carrie for inspiration for tomorrow night. K, off to work but take it from me... you should all have restful Saturdays enjoying the beautiful fall weather we have been so blessed with. Go rake some leaves, and jump in the pile. Go for a walk. Go get a pumpkin spice late from SBucks with your favorite person, and hold hands while you drink it. Definitely catch The Beavs beating Washington State to continue their winning streak. Go for a run and earn your Fuel points (shameless Nike plug). Essentially do all the things I wish I could do if I didn't have to work.